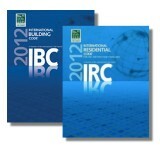 Significant Changes to the International Building Code: 2012 Ed. 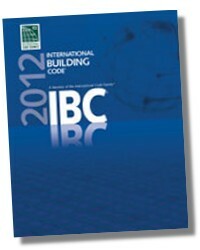 Each change is first identified and then expanded upon with in-depth discussions of how it affects real-world applications of the 2012 IBC. 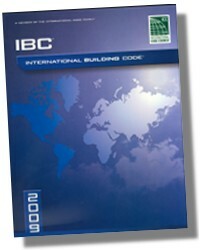 An indispensable resource for anyone who uses the International Building Code® (IBC). Coverage reflects both structural and nonstructural provisions with special significance, including new and innovative design ideas and technologies, modern materials and methods of construction, and current approaches to fire safety, life safety, and structural stability. 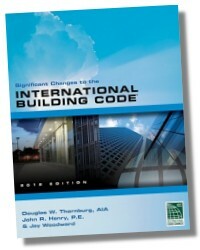 Useful to architects, engineers, inspectors, building and fire department personnel, and countless others in the construction industry, it is a “must-have” guide to the many important changes in the 2012 International Building Code. Douglas W. Thornburg, AIA, CBO, is the Director of Product Development for the International Code Council (ICC) where he provides leadership in technical development and positioning of support products for ICC. In addition, Mr. Thornburg develops and reviews technical products, reference books and resource materials relating to the International Codes and their supporting documents. Prior to employment with ICC in 2004, he spent nine years as a code consultant and educator on building codes. Formerly Vice-President/Education for the International Conference of Building Officials (ICBO), Mr. Thornburg continues to present building code seminars nationally and has developed numerous educational texts and resource materials. He was presented with ICBO's prestigious A.J. (Jack) Lund Award in 1996, recognizing his outstanding contributions in education and training. A graduate of Kansas State University and a registered architect, Mr. Thornburg has over 25 years of experience in building code training and administration, including ten years with ICBO, and five years with the City of Wichita, Kansas. He is certified as a building official, building inspector and plans examiner, as well as in seven other code enforcement categories. John R. Henry, P.E., is a Principal Staff Engineer with the International Code Council (ICC) Business and Product Development Department, where he is responsible for the research and development of technical resources pertaining to the structural engineering provisions of the International Building Code (IBC). Mr. Henry also develops and presents technical seminars on the structural provisions of the IBC. He has a broad range of experience that includes structural design in private practice, plan check engineering with consulting firms and building department jurisdictions and nine years of experience as an ICBO/ICC Staff Engineer. Mr. Henry is a Registered Civil Engineer in the state of California, as well as a member of the American Society of Civil Engineers (ASCE) and the Structural Engineers Association of California (SEAOC). Mr. Henry is an ICC Certified Plans Examiner and has written several provisions of the International Building Code.